Saving energy and reducing environmental pollution are urgent problems facing the transportation industry in all countries of the world. To solve this problem, various light alloys (such as aluminum and magnesium alloys) are increasingly used in transportation vehicles. 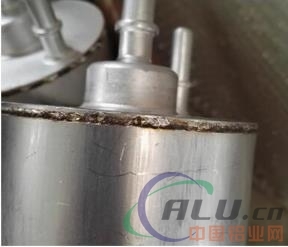 Among them, aluminum alloy has very good physical and mechanical properties, and is light in weight, and has been widely used in the automobile manufacturing industry, among which the filter is one of the more typical applications. Since the chemical activity of the aluminum alloy is very strong, the surface is easily formed into an oxide film and has refractory properties, and the aluminum alloy has high thermal conductivity, which is liable to cause non-fusion phenomenon during welding; at the same time, the oxide film can absorb more water, thereby The formation of the weld pores; in addition, the aluminum alloy has a large coefficient of linear expansion, strong thermal conductivity, and is prone to undercut, warpage and other defects during welding, and the mechanical properties of the joint after welding are degraded. When welding aluminum alloy by conventional argon arc welding (TIG) and inert gas fusion grade arc (MIG) method, problems such as porosity, welding crack and large welding deformation are easily caused, which restricts its application in industry. Compared with conventional welding methods, laser welding is a sophisticated welding method with many functions, adaptability and reliability, and is easy to automate. Due to the high power density of the laser, the heat input is low during welding. On the basis of ensuring the penetration depth, the welding heat affected zone is small, the welding deformation is small, and the laser welding does not require a vacuum device, so the laser welding has high quality, high precision and speed. High features. 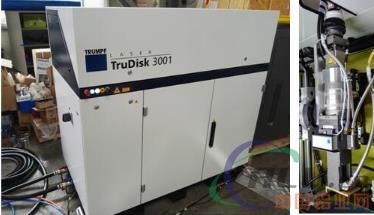 At the same time, with the continuous development of high-power, high-performance laser processing equipment, aluminum alloy laser welding technology has been widely used in the automotive industry. 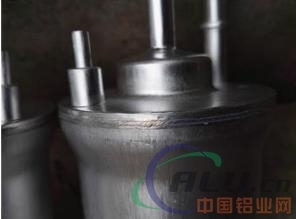 In this paper, the automotive aluminum alloy filter is taken as the research object, and the process points and related influencing factors of the aluminum alloy filter welding for the vehicle are analyzed. The weld seam of the filter is a ring weld, and the joint is docked at the bottom of the lock. The weld is required to be uniform and beautiful. The weld width is more than 2 mm and the penetration depth is over 1.5 mm. The sample is shown in Figure 1. Method: The laser welding head is not moved at a fixed position, and the workpiece is rotated around the fixed shaft to realize the welding of the ring weld. The welding process is protected by a high-purity Ar gas. 1. The problem caused by the blowing of the protective gas: When the protective gas is blown in the same direction as the rotating direction of the workpiece, that is, the protective gas is blown after the protective gas, the protective gas in the welding process cannot timely discharge the air at the weld to be welded, which may lead to welding. The mixing of the air in the process makes the weld extremely oxidizable, and the surface of the weld after welding is black and poorly formed (as shown in Figure 3). Figure 3: The shape of the weld bead that is formed in the same direction as the direction of rotation of the workpiece. 2, the use of small diameter air pipe leads to a narrow protection range, and the gas blown per unit area is too large: if the inner diameter is 4mm single copper tube protection gas protection, and the sample is placed vertically (as shown in Figure 4) Due to the large fluidity of the liquid aluminum alloy, the aluminum alloy in the molten pool is easy to flow downward in the direction of gravity under the action of the protective gas blowing force and its own gravity, resulting in the collapse of the weld after welding (as shown in Figure 5). . In addition, the small inner diameter copper tube has a small gas blowing area and a large gas blowing force, which is also liable to cause unstable weld bead formation. 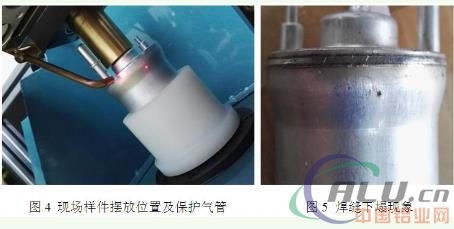 3, the shielding gas is not pure, resulting in local oxidation of the weld, the surface is yellow: because the chemical properties of the aluminum alloy are more active, it is easy to oxidize at high temperature, so the high-purity argon gas should be used when welding the aluminum alloy filter (purity 99.99) %), when protected by pure argon (purity 99.9%), due to the intrusion of gas impurities during high-temperature welding, localized oxidation of the weld or even poor welding, as shown in Fig. 6. 4. 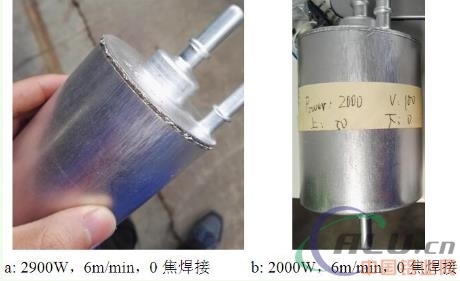 Poor welding caused by mismatch of process parameters: Laser welding is divided into thermal conductive welding (power density between 105 W/cm2 and 106 W/cm2) and deep fusion welding according to the depth of penetration (power density is 106 W) / cm2 —— between 107 W/cm2), the shallow metal in the thermal welding is mainly heated by the downward heat transfer after the surface absorbs the laser energy, and the formed weld is nearly semi-circular, and the weld penetration is shallow. . The appearance of small holes in the laser welding process can greatly improve the absorption rate of the material by the laser. The small hole as a black body can obtain more energy coupling of the weldment, which is a prerequisite for obtaining good welding quality. The aluminum alloy has a very high initial reflectivity to the laser, the reflectivity to the CO 2 laser beam is up to 96%, and the reflectance to the Nd:YAG laser beam is also close to 80%. The thermal conductivity of aluminum alloy is about 3 times that of ordinary medium carbon steel at room temperature. Therefore, in the process of actually welding aluminum alloy, it is necessary to ensure sufficient laser power to obtain the required penetration depth. 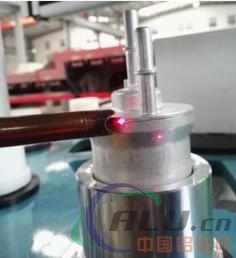 In the laser welding of different aluminum alloys, a laser energy density threshold is found. If it is lower than this value, the weldment only has surface melting, the welding is carried out in a heat conduction type, the penetration depth is very shallow, and only a laser impact mark is formed on the surface. Once this value is reached or exceeded, the plasma is generated and small holes are induced at the same time, and the penetration depth is greatly increased. Therefore, if the aluminum alloy laser welding wants to achieve the deep fusion welding effect, it needs to reach a certain power value. However, the power cannot be made large, which may cause the weld bead to be recessed due to excessive heat input, and the undercut is serious, as shown in Fig. 7a. When the energy is less than the laser energy density threshold, a significant heat conduction weld appearance will appear, as shown in Figure 7b. 1. For the problem that the protective gas blowing force is too large and the blowing area is too small, the molten pool is unstable and the weld protection range is too narrow, the protective gas pipe (diameter 9 mm) with a larger inner diameter is used instead, as shown in Fig. 8. The gas pipe can weaken the interference of the gas on the formation of the molten pool under the premise of forming a large protection range for the molten pool. 2. In order to meet the requirements of uniform and beautiful appearance of the weld surface and the melting width of 2mm or more, slow speed and defocus welding are adopted. In addition, during the welding process, the uphill adjustment time is 100ms and the downhill adjustment time is 300ms to reduce the crater formed at the arcing. The parameters of Table 1 are selected as the optimized welding process parameters. The post-weld samples are shown in Figure 9, and the arc-like appearance is shown in Figure 10. The surface morphology and cross-sectional morphology of the weld are shown in Figures 11 and 12, respectively. As can be seen from Fig. 9, Fig. 10 and Fig. 11, the weld surface forms a fine and uniform fish scale pattern, and there are no defects such as surface cracks and pores, and the arc crater is greatly reduced. It can be detected from Fig. 12 that the weld has a melting width of 2.5 mm, a penetration depth of 1.7 mm, and no defects such as pores and cracks inside.